Reform of the welfare and benefits systems – and in particular the emphasis on trying to change behaviour through sanctions – has had a “profoundly negative effect” on the people that receive them, our collaborative study has found. Those subject to sanctions reported feelings of widespread anxiety and disempowerment, the first wave findings documents report. The findings also detailed that sanctions had a severely detrimental financial, material, emotional and health impact, with people reporting debts, reliance on charities and food banks and arrears on utilities and rent. There were some limited examples of good practice and of mandatory support helping people to improve their work or personal situations. A minority of practitioners and service users did acknowledge some positive outcomes. 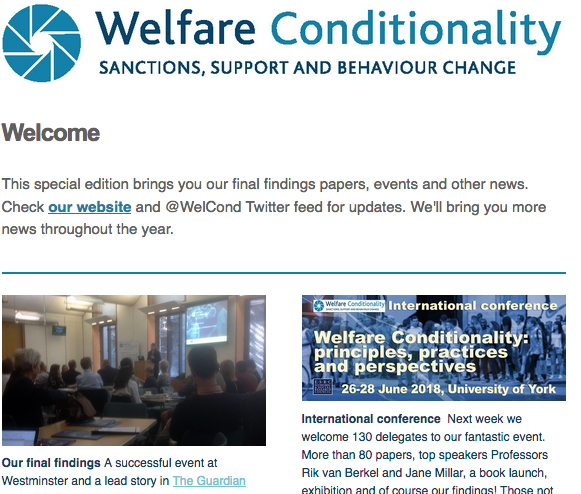 Our team of researchers from six universities interviewed 480 welfare service users in 2014-2015, of whom more than a third had experienced sanctions. Policy stakeholders and practitioners were also interviewed in what is believed to be the largest current study of its kind. The research will continue until 2018. Read the full findings.